This week, 3500 people descended on the town of Nashville (well, actually on the Opryland Hotel, a city unto itself) for the IBM Smarter Commerce Summit. Our own Jay Baer was the host of this 3-day event, during which many exciting case studies and announcements where shared by companies leading the charge for smarter marketing. Among the most exciting developments was the launch of the IBM Watson Engagement Advisor, designed – as they describe it – to “help customers feel known, engaged and empowered throughout the lifetime of their relationship with you.” That’s a large check to write, but broken down Watson Engagement Advisor is a core Youtility tool for companies – a way to expedite the customer’s exploration of their relationship with you. Watson was unveiled as a smart, fast computer with intelligent processing abilities. It destroyed its competitors. While I’d like to bring Watson with me to Las Vegas for a romp through the casino floor, at its core Watson is capable of achieving much more than good gamesmanship. 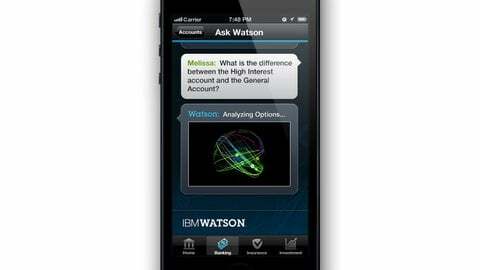 In practice, you’d ask Watson a question and it would give you some answers along with a confidence score. Since its Jeopardy debut in 2011, IBM has deployed Watson in health care to help nurses navigate care (they’re choosing its recommendations 90-percent of the time in that deployment) and assisted cancer researchers expedite their progress, saving a couple of years worth of research time. Not bad for a computer. Now, with the IBM Engagement Advisor, they’re making it available to companies to help with all customer interactions. You might experience a Watson deployment at your bank, when you call get to information about loan payoff; it would give you advice on the most cost-effective time to pay off your home mortgage based on your income, payment history and interest rate. Or, you might experience Watson in a call center when you phone in to discuss and change your insurance during annual open enrollment. It would provide you, based on your past utilization, with a list of changes that it recommends you make for the coming year. In all of these cases Watson can distill information from a customer profile and deliver very specific, actionable responses that are actually based on specific situations, and do so with very high accuracy. We talk about companies making themselves so useful that the customer cannot imagine a more valuable relationship. There are multiple ways of achieving this outcome: Great marketing. Great customer service. And in the case of IBM Watson Engagement Advisor, great technology. You can read more about the Engagement Advisor here.